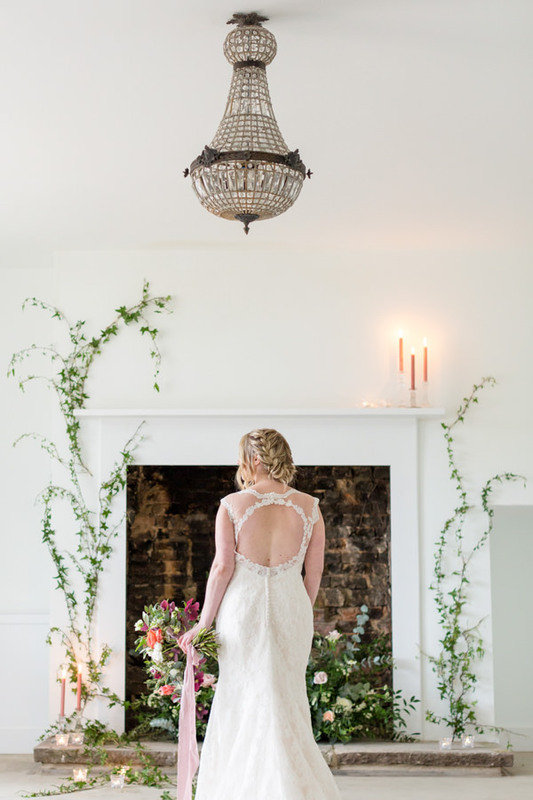 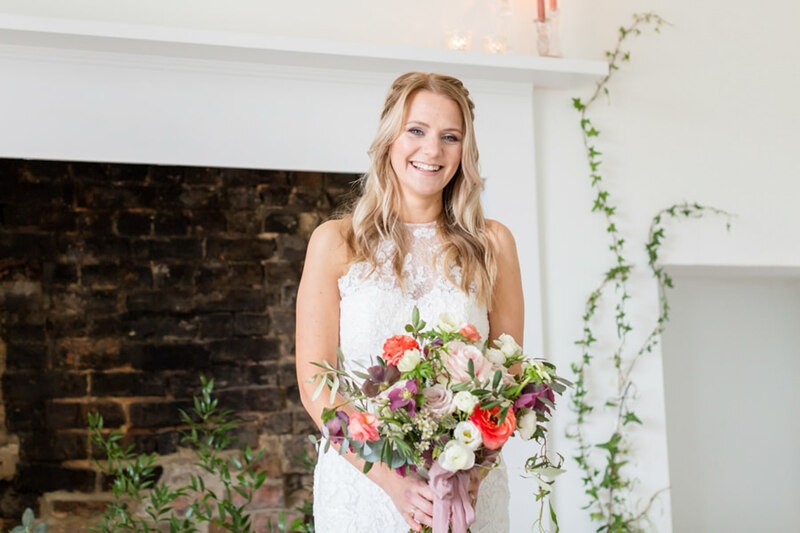 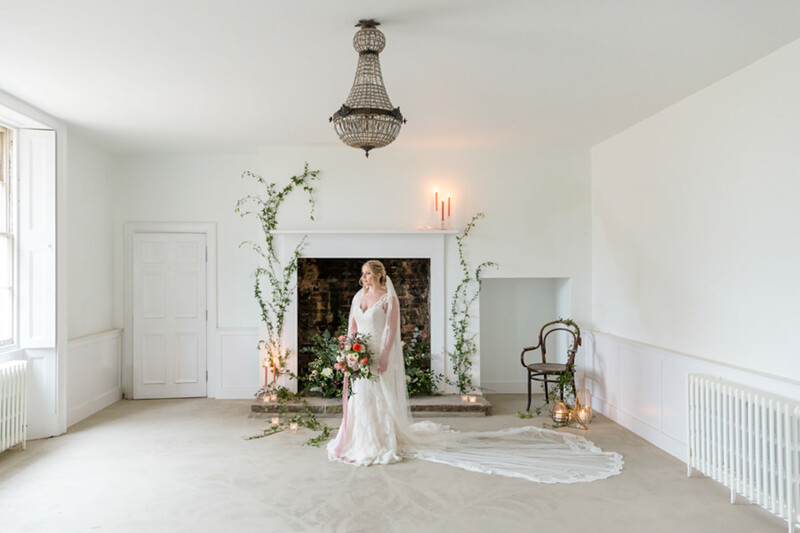 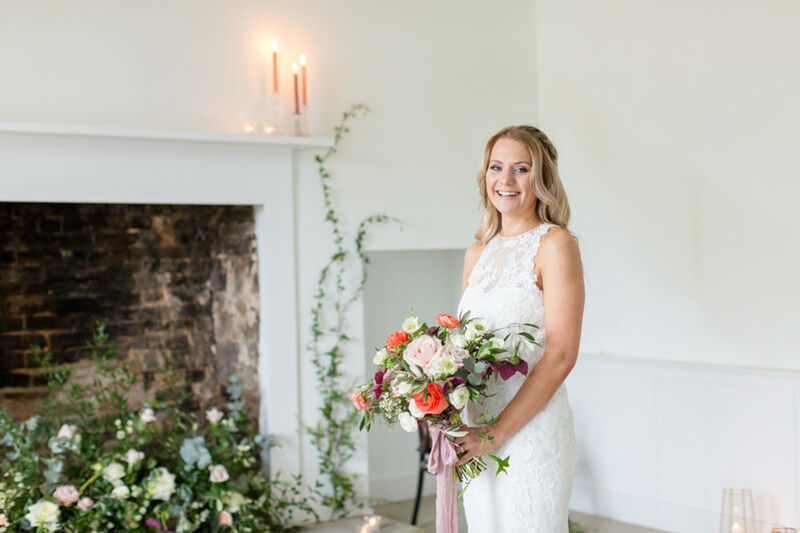 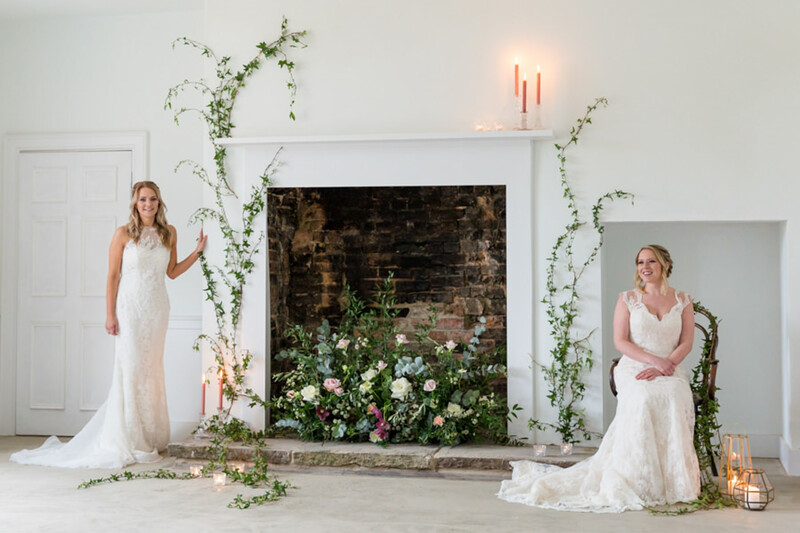 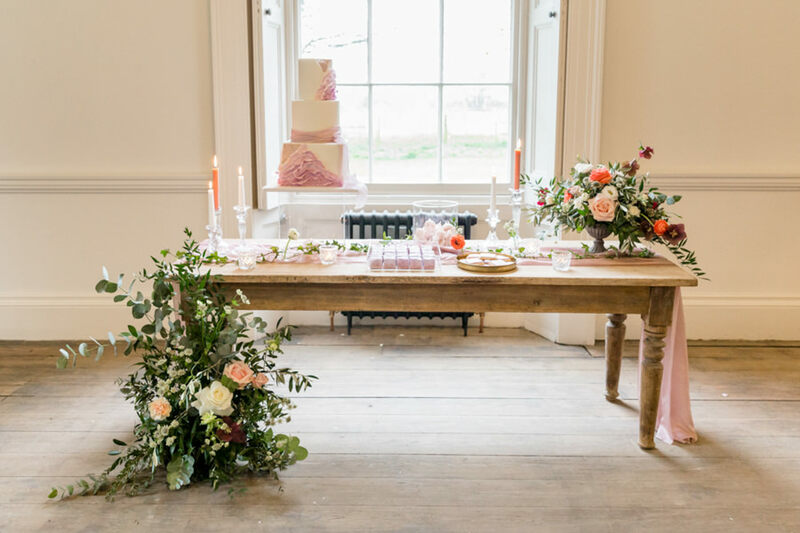 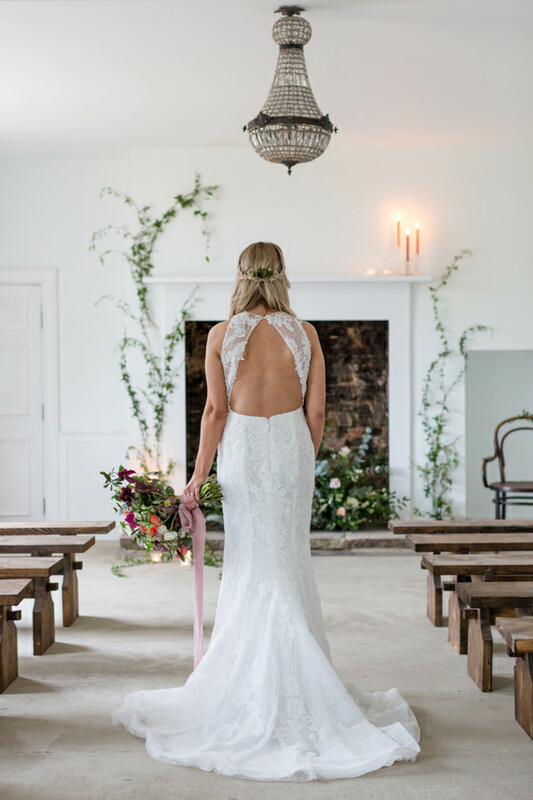 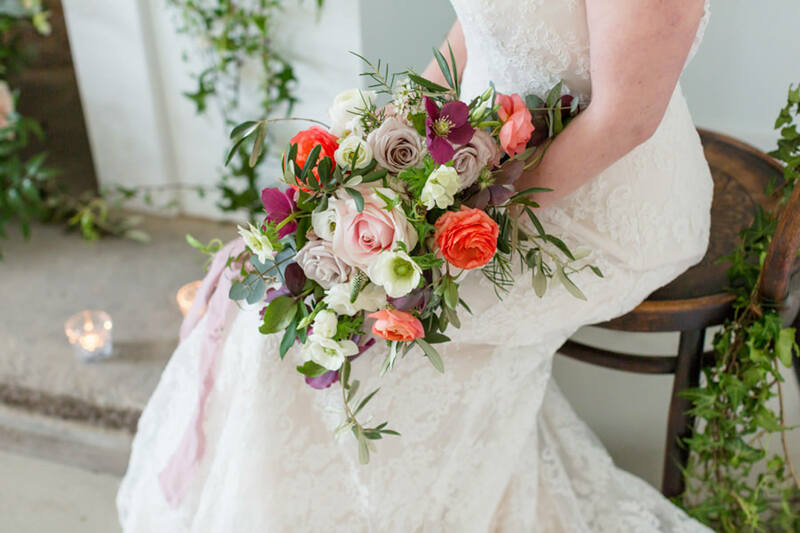 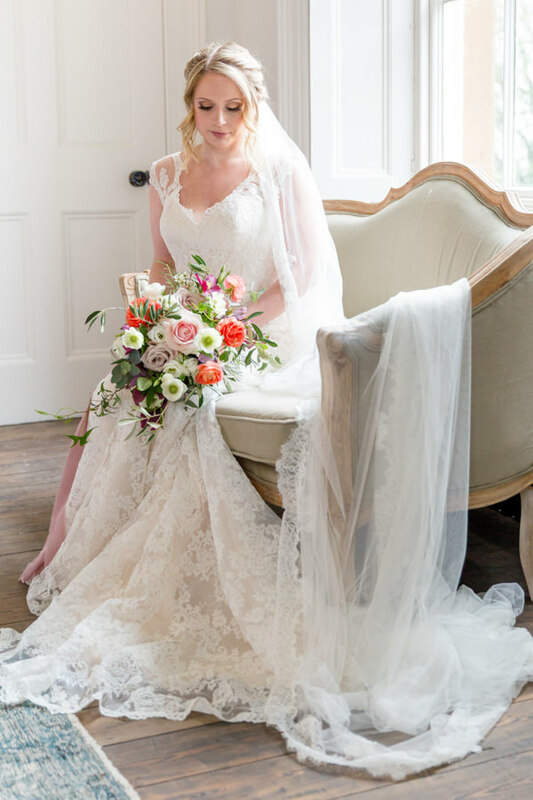 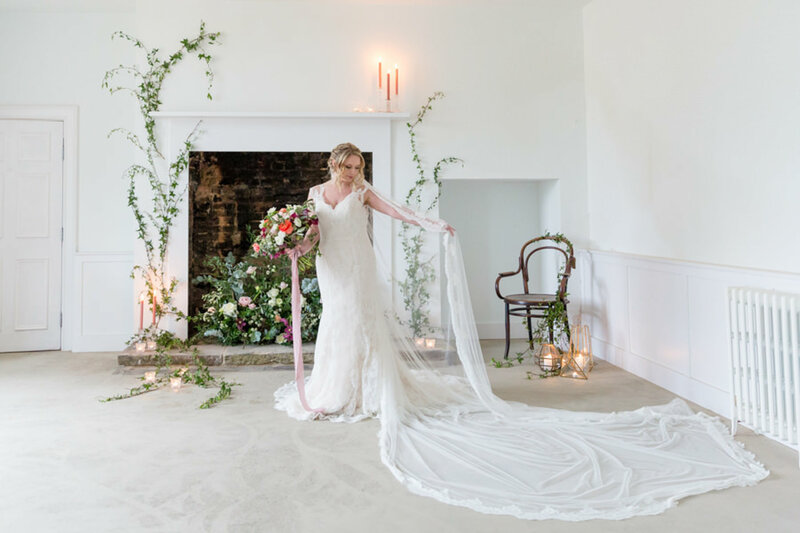 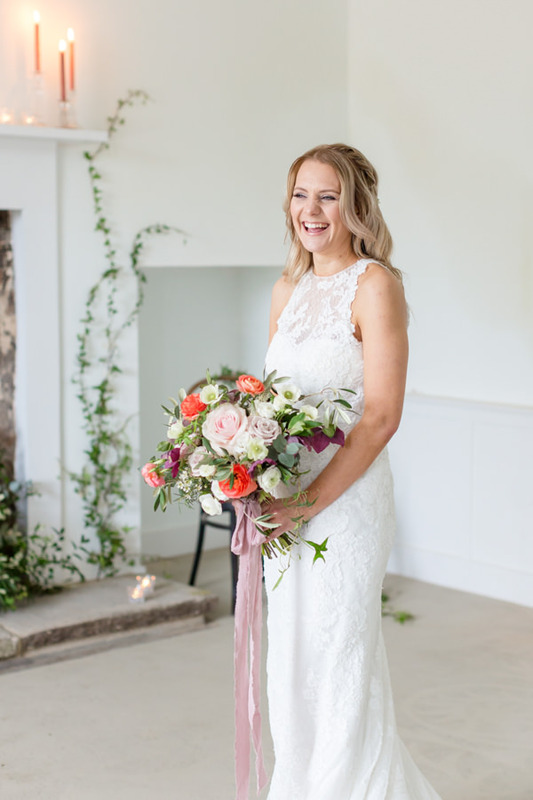 The concept of the shoot was brought together by Alicia of Lily Jayne Florist at the beautiful new venue Aswarby Rectory, set in the Lincolnshire countryside. 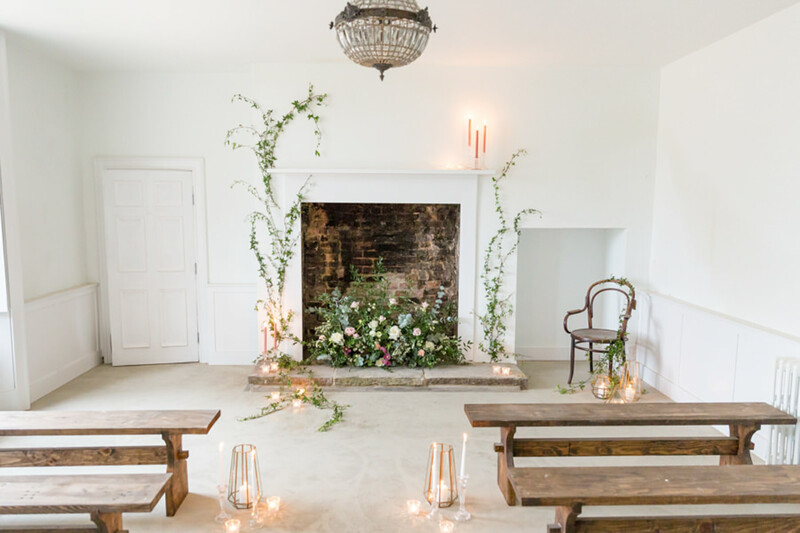 A blank canvas, Aswarby Rectory offers many opportunities for the perfect wedding setting. 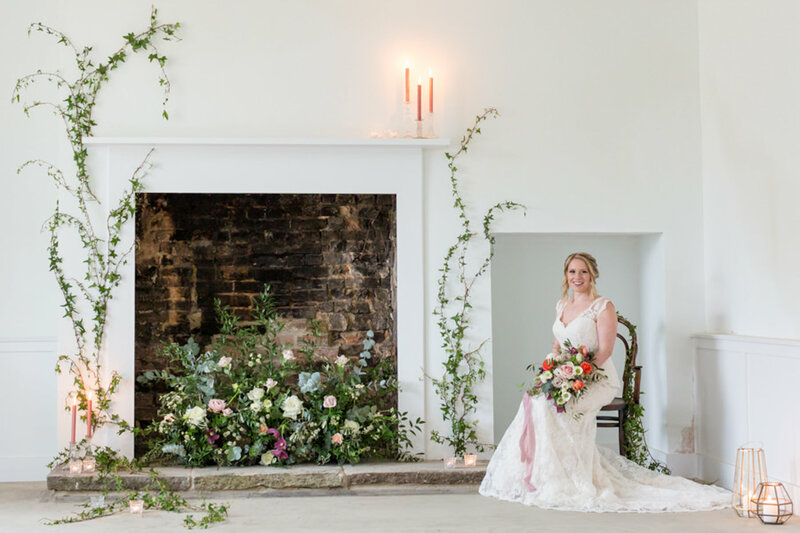 With many white walls, plenty of character and the most stylish décor, we dressed the venue to complement this, keeping it elegant to really show off the venue. 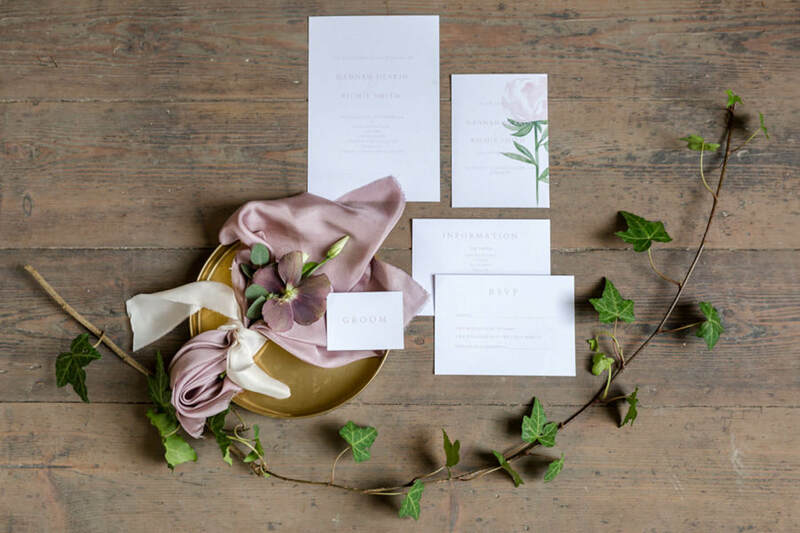 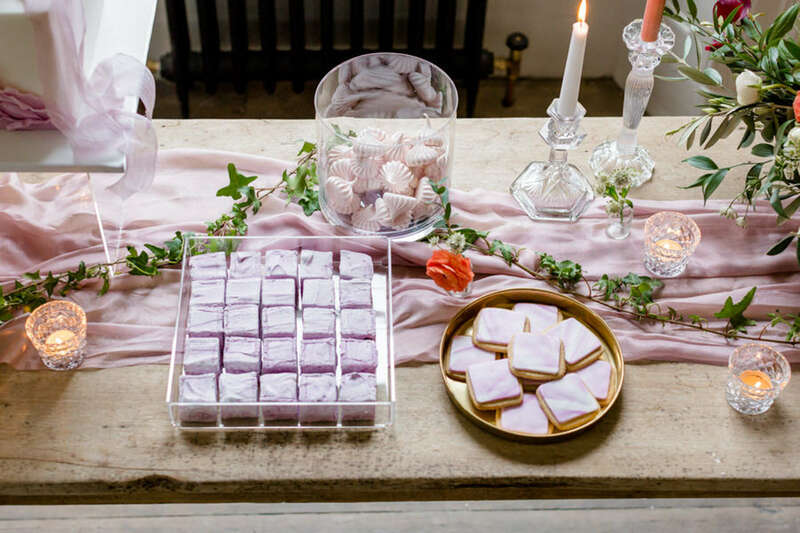 Although the theme of the shoot was feminine with delicate silks and light colours, we kept the styling simple to show that less is sometimes more. 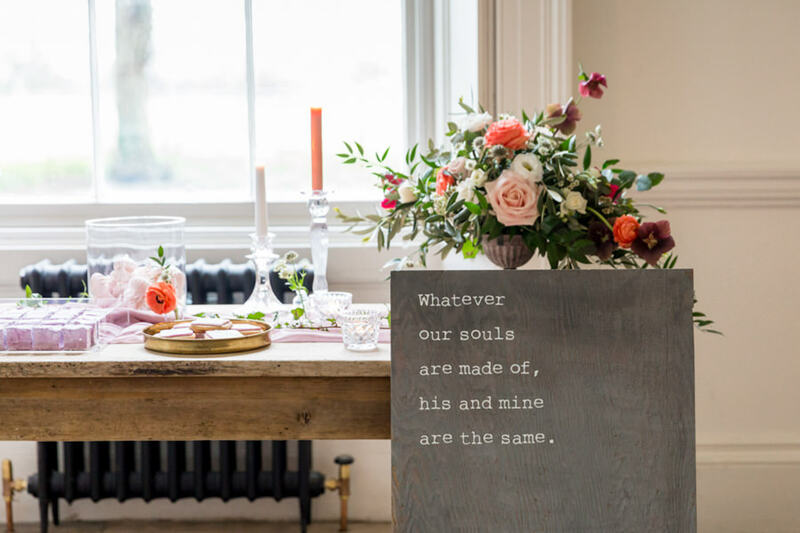 Weddings don’t have to be over complicated. 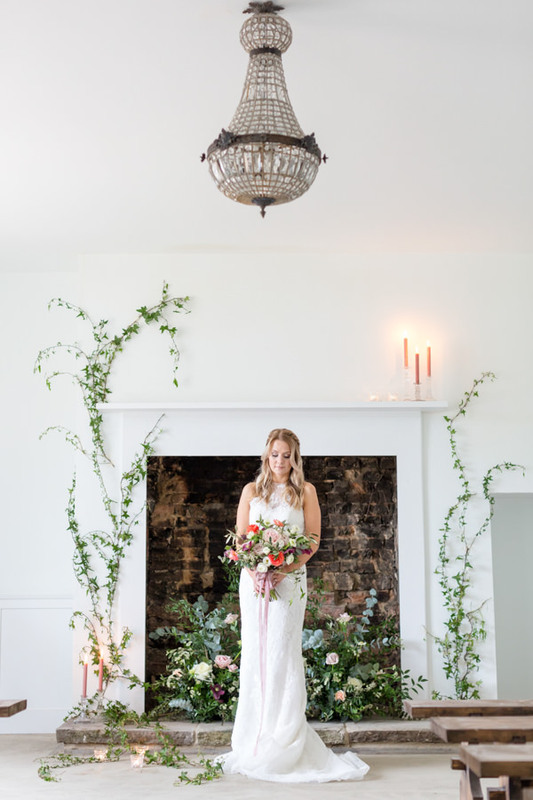 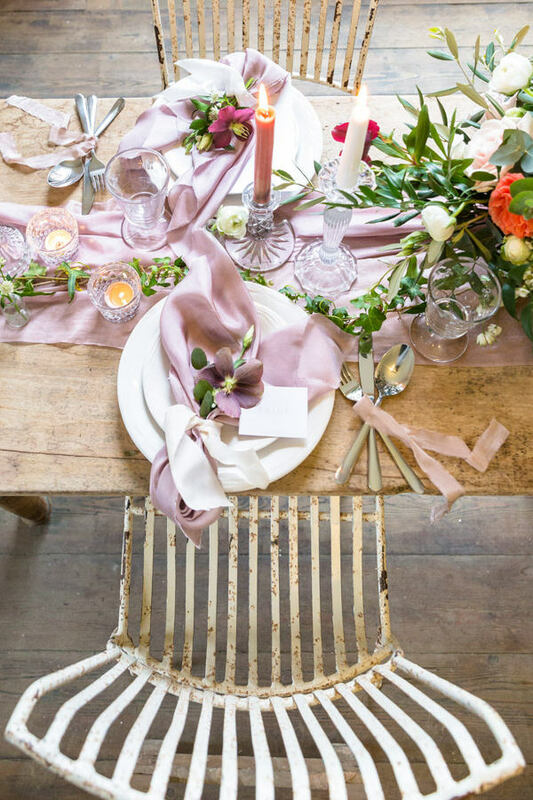 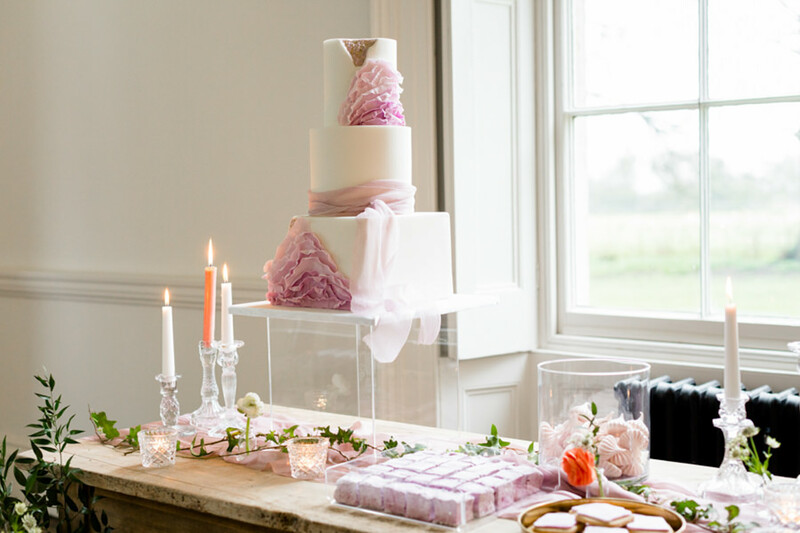 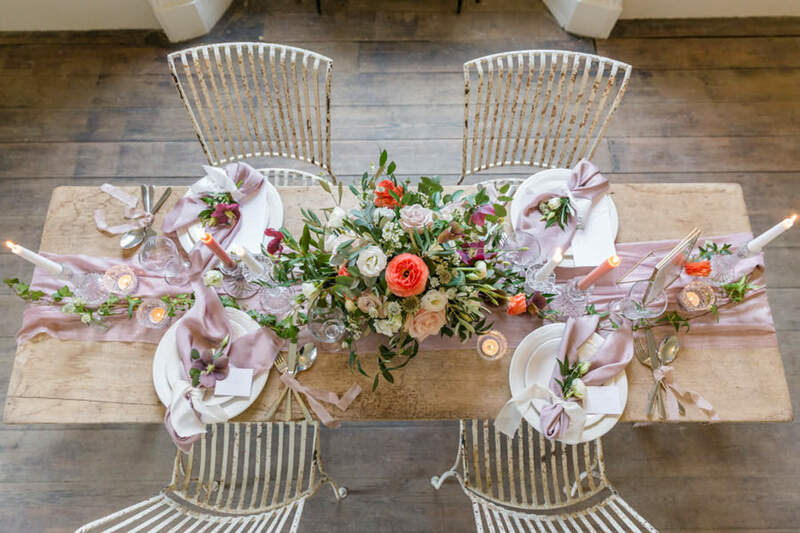 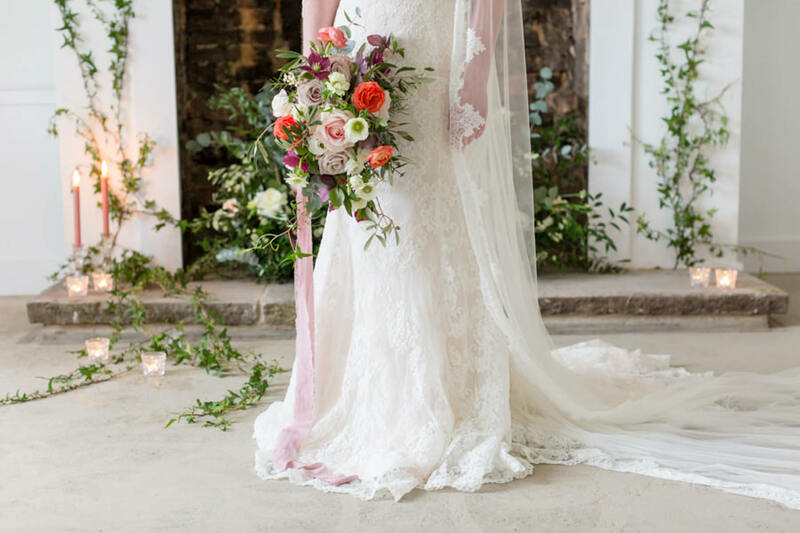 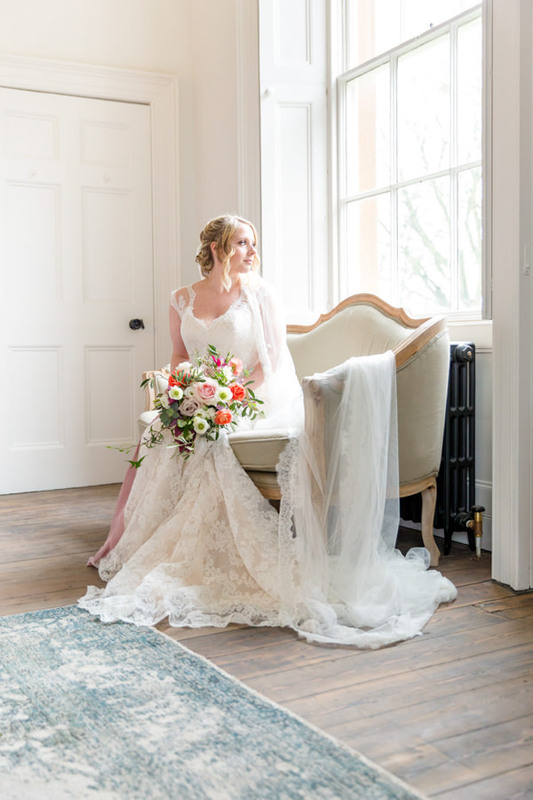 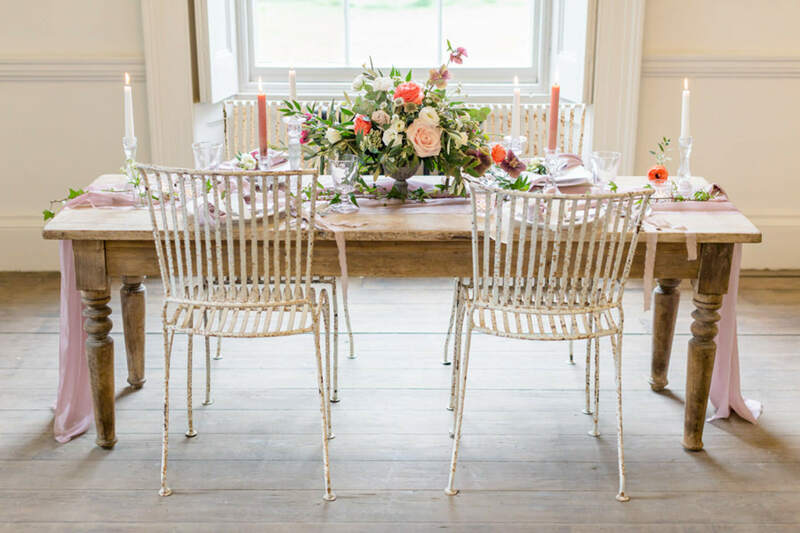 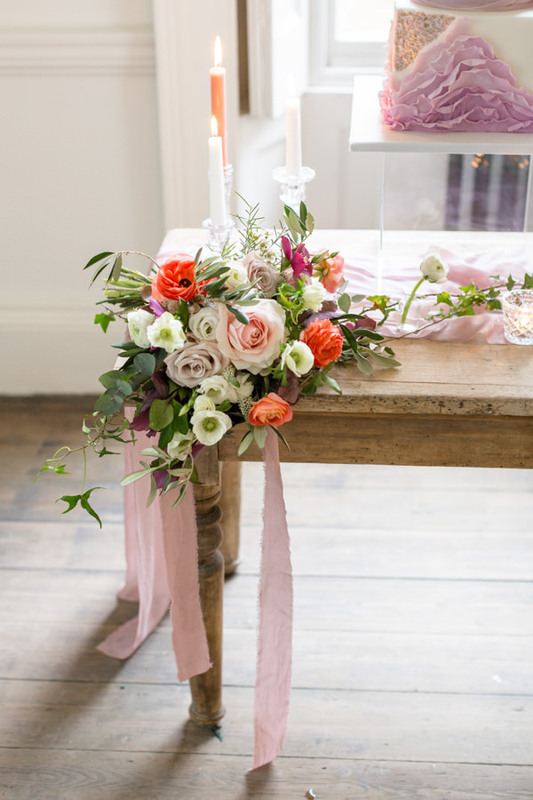 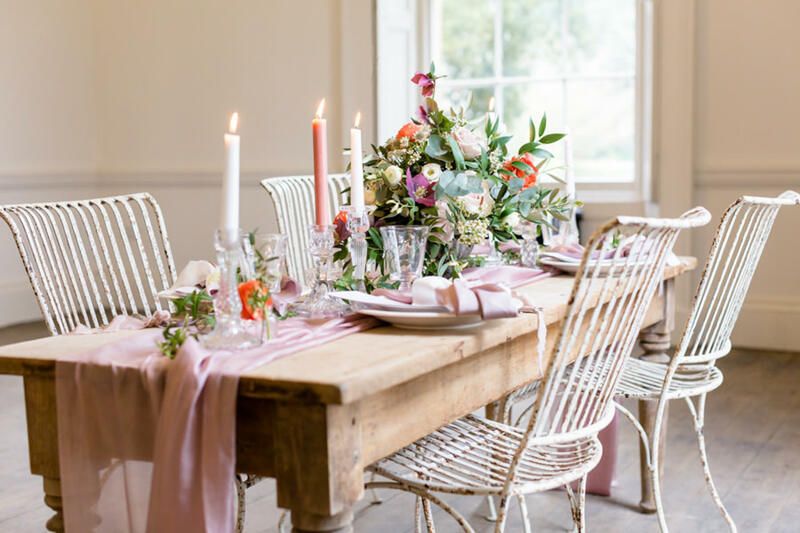 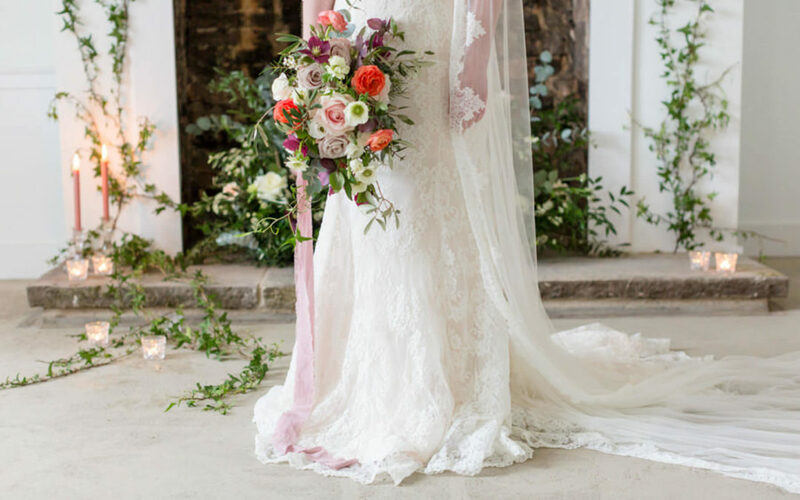 The shoot was held in spring, with coral and ivory tones keeping things light and airy. 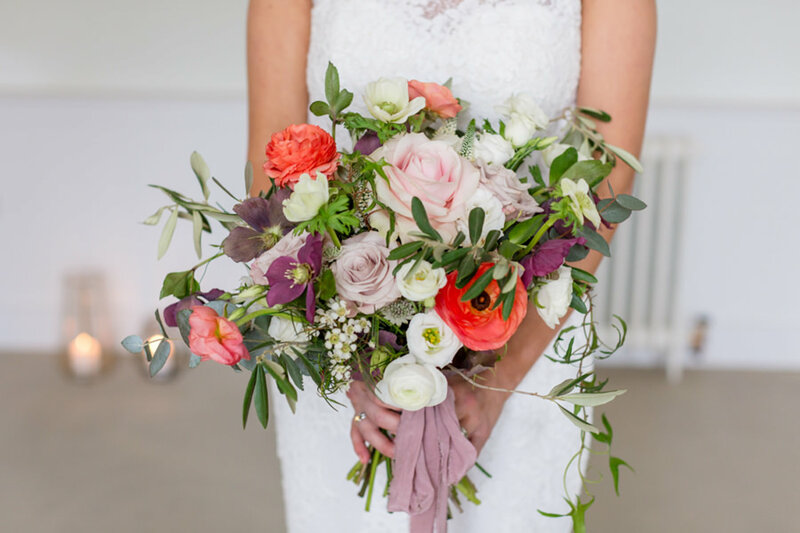 From anemones, to ranunculus and hellebores there is a huge choice of flowers available in spring time. 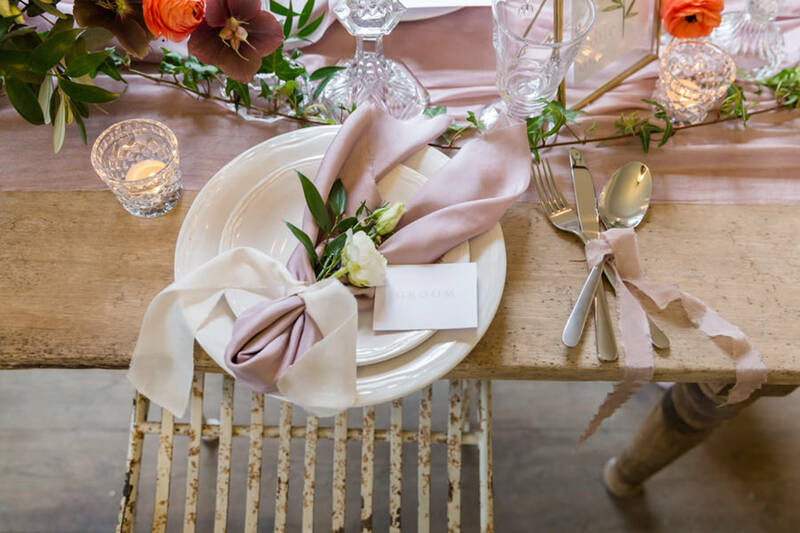 The tablescape was kept very simple and pared down with a pop a colour coming from the flowers. 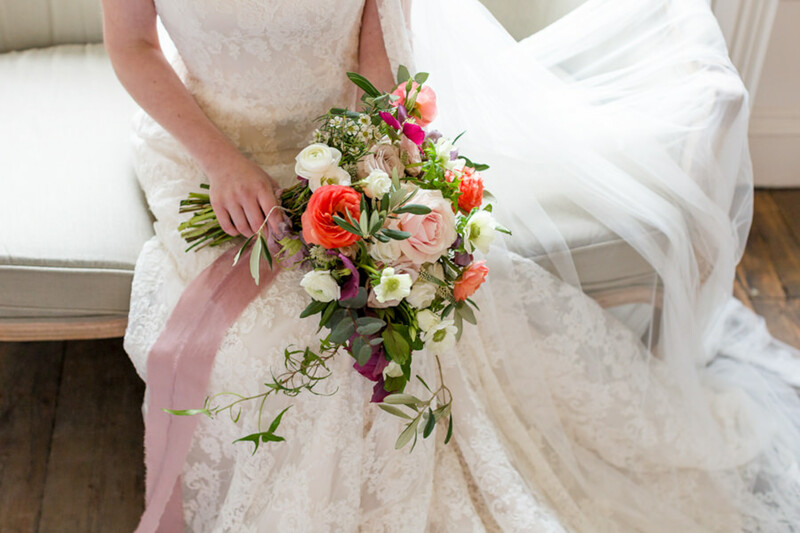 The majority of the flowers were British grown, helping create an English country feel.